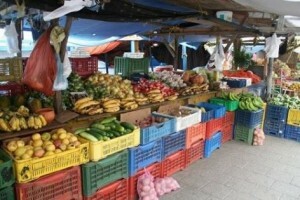 WILLEMSTAD - The trade boycott of Maduro is not over yet, but yesterday there were already some Venezuelan boats with fresh fruit and vegetables. Maduro announced the closure of borders because of illegal smuggling to and from the islands. According to the local government, that accusation is off the table after the consultation of last Friday.